Starting on October 1, former policeman Michael Daum took on his role as the resident “hermit” of the Swiss town of Solothurn. 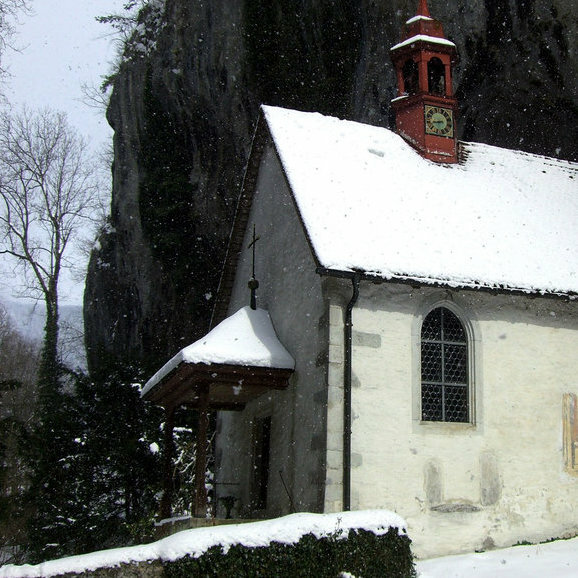 The tradition dates as far back as 1442, with the hermit watching over the town’s famed hermitage and its nearby St. Martin’s Chapel in the Verena Gorge. The gorge and chapel are named after Saint Verena, who took up a solitary residence in a nearby cave in the area hundreds of years back. For the recently appointed Daum, duties will include keeping the gorge and its surrounding chapels clean, assisting with events like weddings and baptisms, and providing counsel to those who visit the area, according to The Wall Street Journal. The position pays roughly $24,000 a year and includes living in the hermitage rent-free, with some hermits having stayed in the position for as long as 25 years, according to USA Today. The hermitage, which is built into the rock of the gorge, is popular with tourists, which is the reason why one of the former hermits resigned from the position in 2014. Daum's predecessor left the position due to disputes with the town's authorities over the position, according to The Local, leaving Daum taking over the role.